Which job Gulliver is doing? Because he breaks his chain. Because he becomes the king. Why Gulliver becomes an enemy? Because he steals the money. Because he doesn't want to destroy Blefuscu. Because he kills the emperor. 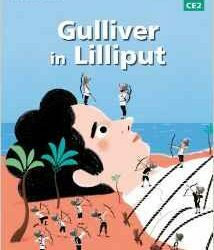 How Gulliver escape from Lilliput? He swims until his house. He uses a big canoe.